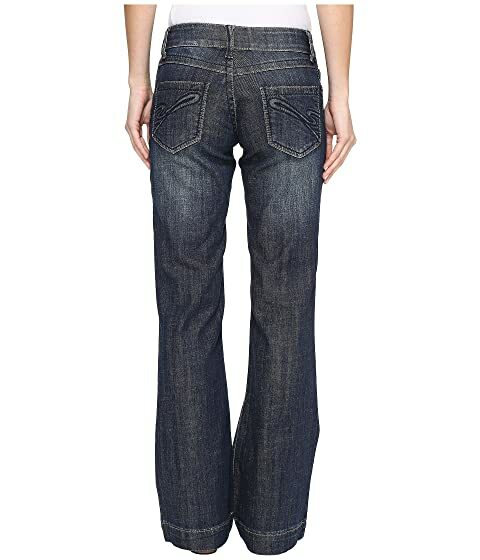 Polish up your trendy look and give all the attention on your legs for once with these appealing jeans. 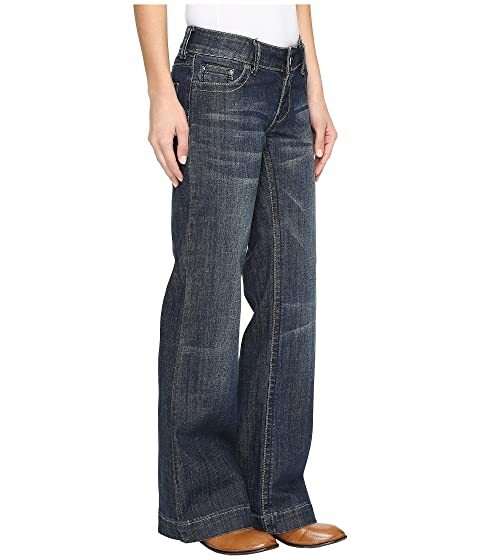 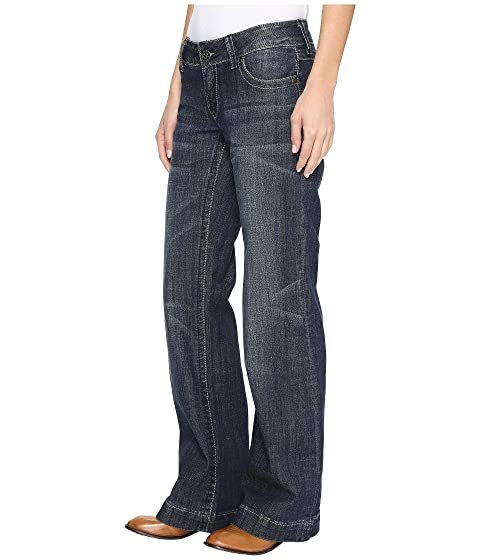 Mid-rise jeans are fitted through the thigh and break at the knee to a wide, flared trouser leg. 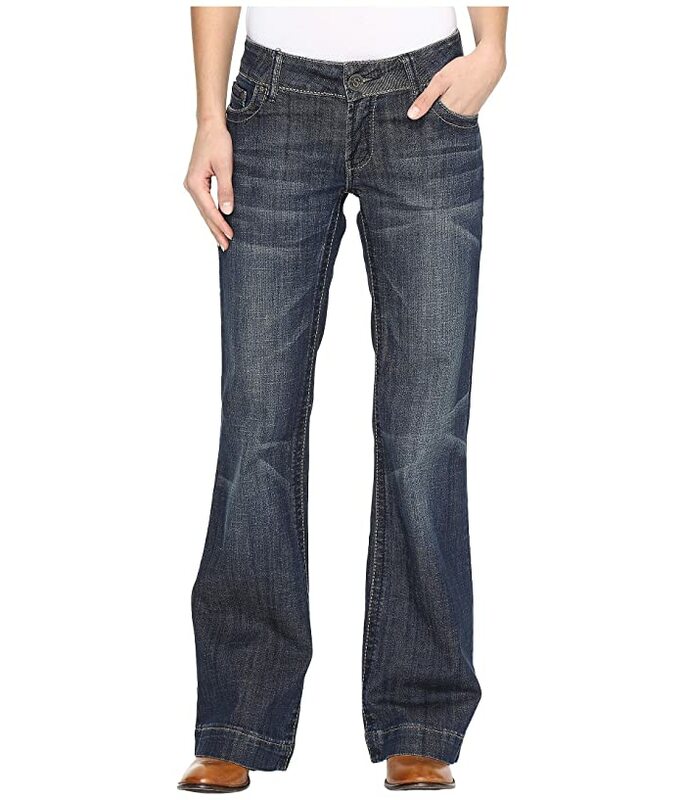 Stretch, dark wash denim crafted with a slightly broken-in look features hand sanding and crinkle design at thighs. Rear patch pockets flaunt embroidered "S" stitched design.